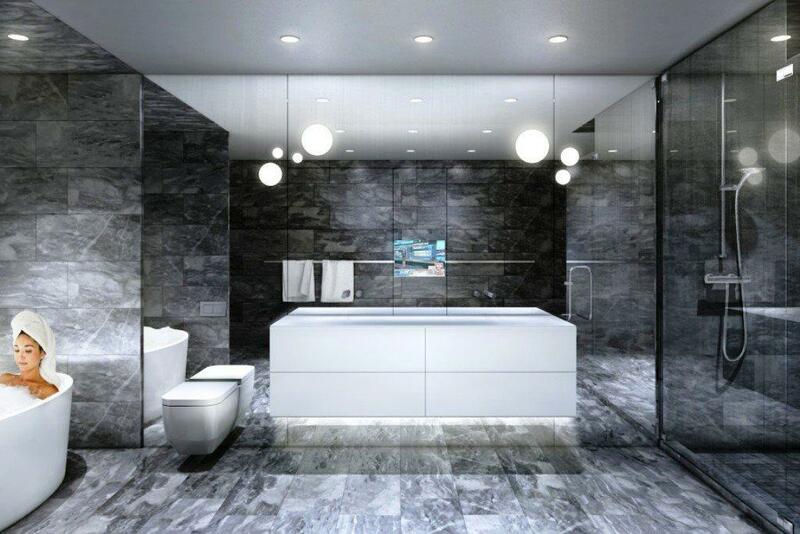 4802 - Designed by the WORLD FAMOUS Bjarke Ingles Group and developed by Westbank. Vancouver House will redefine the Vancouver Skyline and raise standards as the worlds first LEED Platinum Highrise. With 2,074 Sq. Ft. of indoor living space and 252 Sq. Ft. of outdoor this home boasts incredible northern and western views of English Bay, Stanley Park and Lions Gate Bridge. Two west-facing terraces embrace the grand master bedroom, the grand salon, kitchen, and family area, making it perfect to entertain. 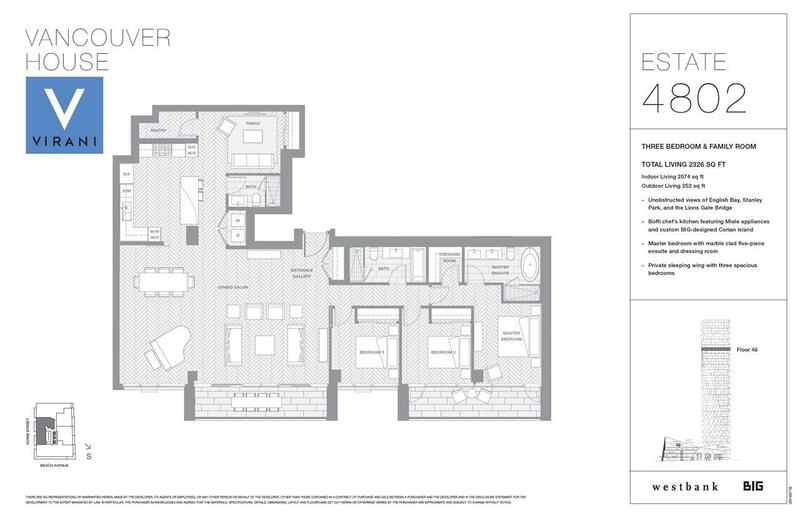 Upgrades include; 2 car private garage, 1 storage locker, 1 cellar, 2 bicycle storage and a marble kitchen backsplash. Visit our presentation gallery to view FLOORPLANS and our VIRTUAL REALITY TOUR Saturday and Sunday from 1PM-4PM at 105-100 Park Royal S, West Vancouver! Listing provided courtesy of Virani Real Estate Advisors. © 2019 by the Real Estate Board of Greater Vancouver, Fraser Valley Real Estate Board, Chilliwack and District Real Estate Board, BC Northern Real Estate Board, and Kootenay Real Estate Board. All Rights Reserved. 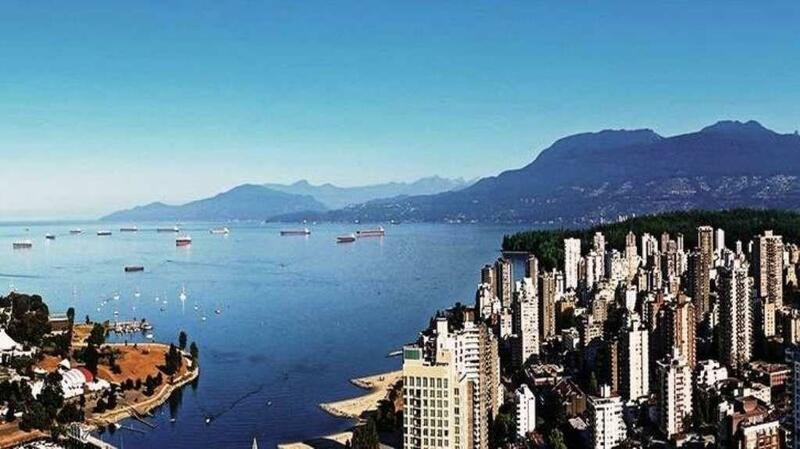 Vancouver Real Estate is Vancouver's most innovative real estate team.